service industry professionals take 20% off after 8pm every thursday. click HERE to view all of our events and parties. situated on a bustling astoria block just steps from the n/q station, [sek’ənd sun] is a versatile, laid-back cocktail bar that thrives on expert taste and the thirst for new possibilities. it is the sophomore effort by a pair of literal second sons, purveyors derrek vernon and jay zimmerman of williamsburg’s [ba’sik], and while the numerological coincidences imply mystical intrigue, the bar's philosophy is simple: to bring delicious cocktails to an exciting locale. [sek’ənd sun]’s knowledgeable bar staff serve as friendly guides through the drink selection, including an array of signature cocktails brimming with originality. a formidable roster of beers is also available, as is a full menu of bar [snacks], small plates called [sekends] and [mains]. 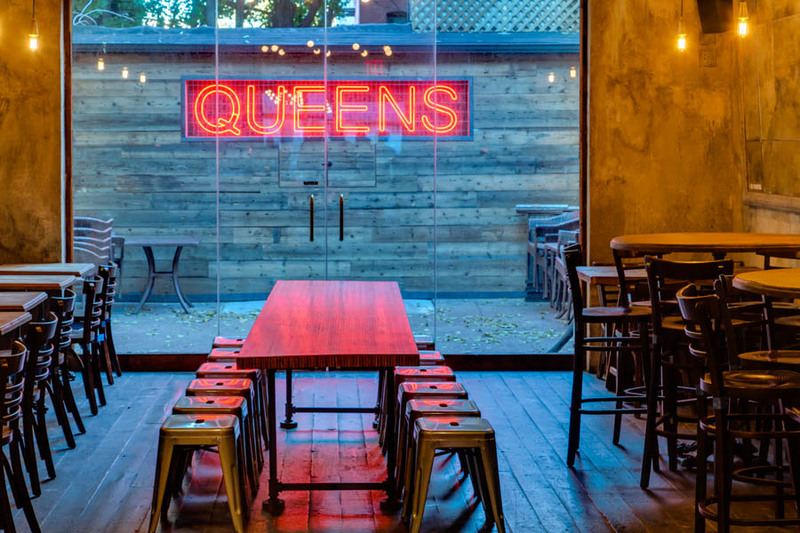 by the bar’s entrance, a picture window gazes onto a vibrant broadway, opposite the casual backyard emblazoned with neon lights proudly spelling out “QUEENS”. comfy banquettes, various table arrangements and a spacious bar area make sek’ənd sun an easy choice for any size party or impromptu gathering. 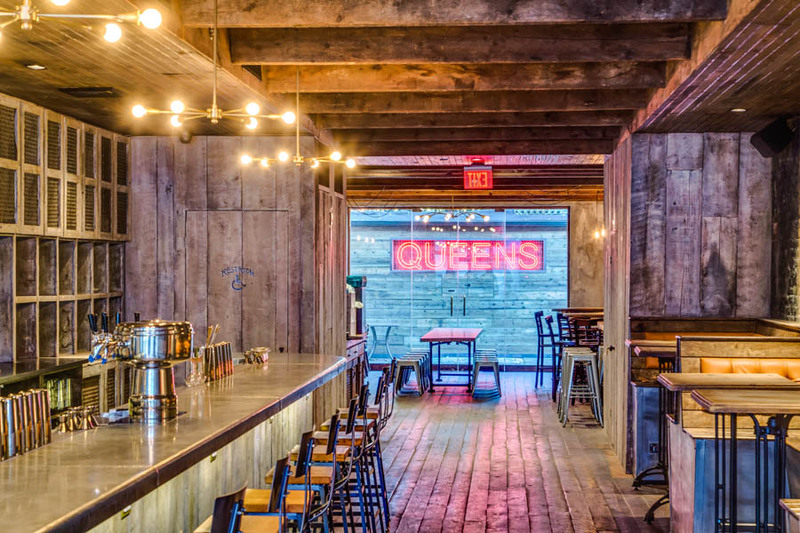 the bar is outfitted with exposed brick, reclaimed wood, art-deco fixtures and chimerical detailing, making for a relaxed atmosphere with just the right amounts of mystery and mischief. [sek’ənd sun] is proud to be serving the diverse astoria community with its unique take on the classic american bar.